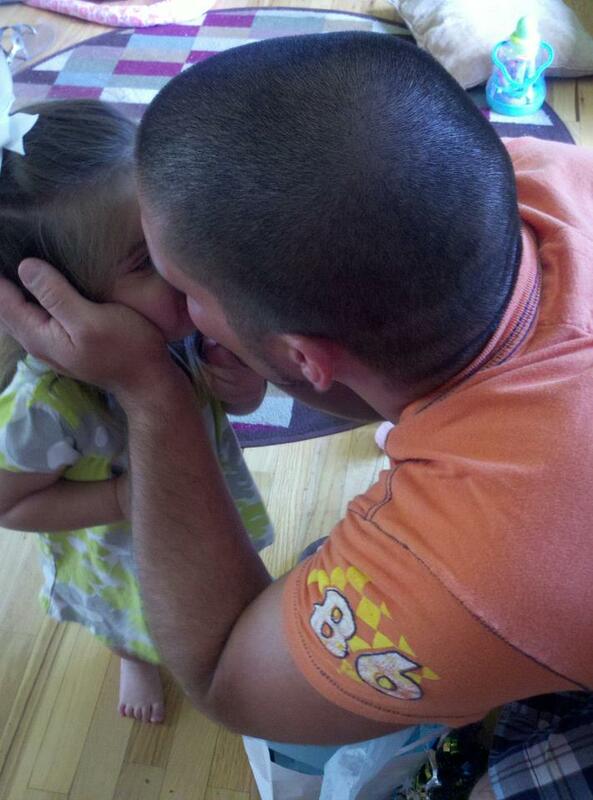 Josh celebrated his first Father's Day as the daddy of two beautiful little girls! 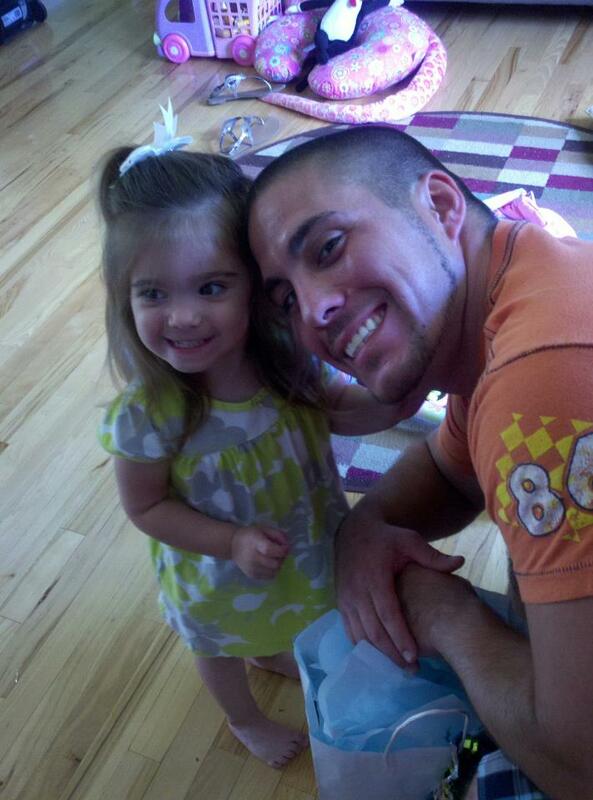 First, we dedicated Olivia to the church. It was a special celebration and we are so very thankful for our church. 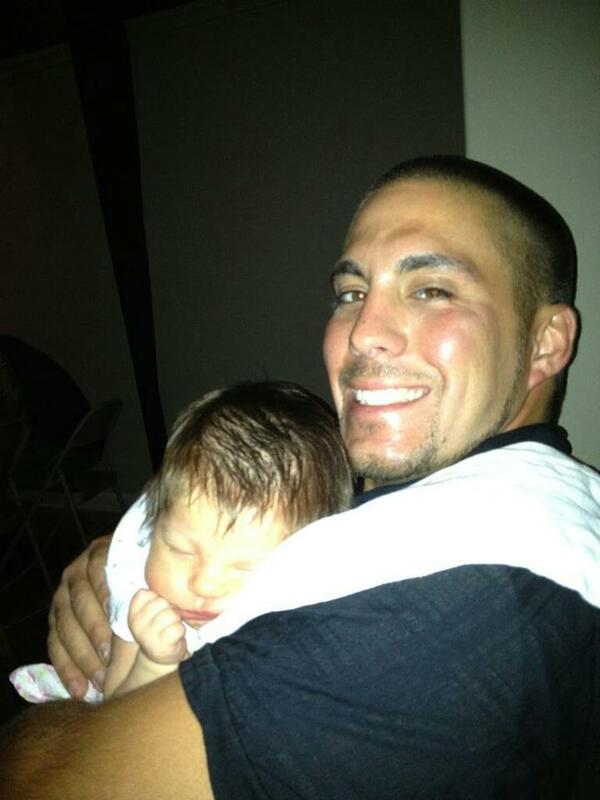 Josh and Olivia after she was dedicated. 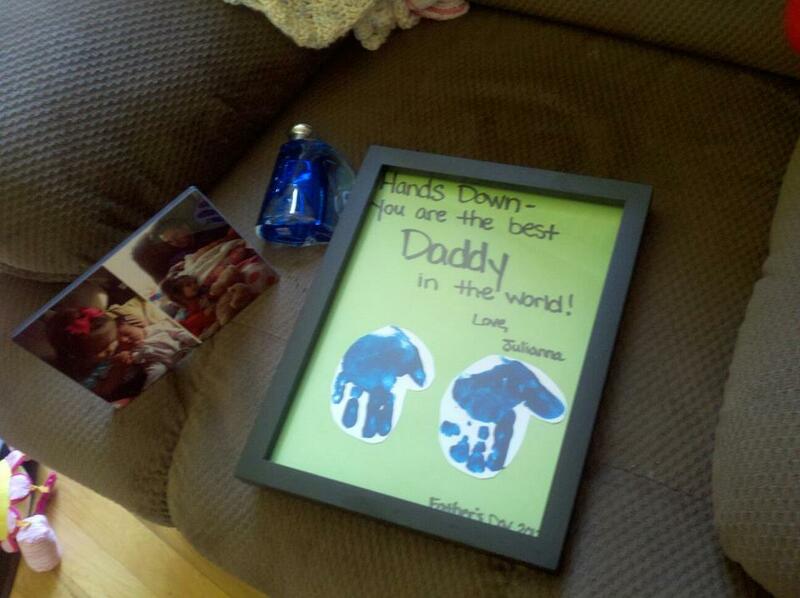 After church, Julianna gave Josh his Father's Day gifts. A bottle of cologne from mommy, a picture plaque from all 3 of us, and an art creation by Julianna. He loved all of his gifts! Josh continued his Father's Day by going to a Greensboro Grasshoppers baseball game with my dad, my brother, and my brother's two little boys. 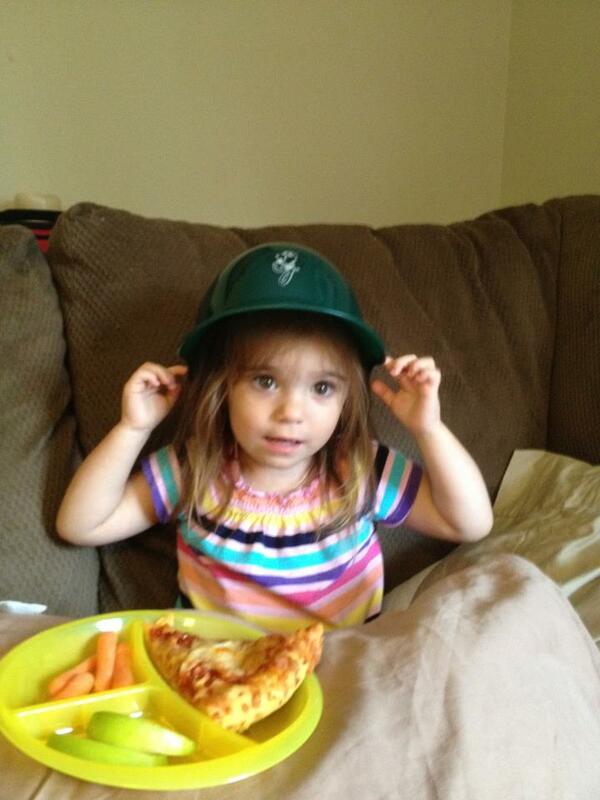 Josh brought home a souvenir hat for Julianna.